Are you looking to start a new, unique work from home business that’s FUN, EXCITING and PROFITABLE? If you are, the following information is about a unique Billboards-4-Rent Affiliate program that allows you to own and operate your own rental and event promotion business. To ensure you have the tools you need to run a successful business, we provide you with comprehensive training, an incredible operating system, and marketing support. Here are just a few of the ways Billboards-4-Rent will help you thrive. Our pre-opening development team helps you identify, select, and approve the best possible geographical territories. Then we train you on a quick start program that will allow you to begin filling your calendar with events, even before you officially open your business or attend formal training. We work with you on a comprehensive and planned local marketing effort for a quick launch. A customized local marketing plan. Extensive training (in Las Vegas, Nevada) includes one-on-one and live events, training from experts, techs, drivers, marketing experts and the founders. Grand opening support includes specific local marketing plan and non-stop coordination with our dedicated franchise support staff. On-going support with frequent consultation/communication of best practices and innovations. Along with constant company research and development. Professionally designed collateral materials including flyers, brochures, posters, mailers, cards and letterhead, shirts and wristbands, and an array of logo items and promotional pieces. 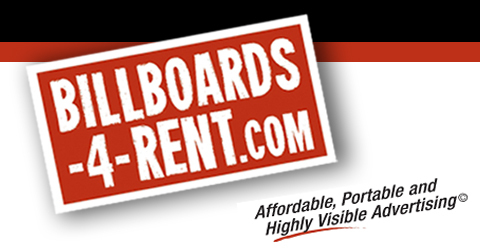 Billboards-4-Rent.com and JumboScreenRental.com – Are easily remembered website addresses and ranked in the top 1-3 positions on the most prominent search engines. Public relations experts are built into our team to build awareness of Billboards-4-Rent brand, as well as your initial opening and on-going efforts. We provide daily support before, during, and after training with dedicated support staff. You Run Your Own JumboScreen Rental and Outdoor Movie Business – Using our proven knowledge, support and national brand marketing. We’ve been doing this for 12 years. Join our team and learn how you can grow a great local business, meet fun people, and connect with your community. Come to Las Vegas – That’s right, you’ll get on the job training working with our business development team at actual events in Las Vegas, Nevada. You’ll see and witness firsthand how we run our business and you’ll learn our secrets to success. In addition you’ll receive all of the tools you’ll need to organize, promote and facilitate YOUR own JumboScreen Rental and outdoor movie business in your area. When You Join Your Licensed Affiliate Program – You are provided with a proven National Brand, Marketing Tools, Customer Leads, Business Education, Support & More. All to fast track YOUR Jumbo Screen Rental and outdoor movie business. Need a web site with traffic? Done. Need a top notch image, reputation, business card and sales materials? Done. Need experts to guide you through the process and help get you from A to Z quickly? Done. Need tech support, 24 hour service, agreements, contracts, on-going training and support. Done! It’s all done. We’ve been doing this for years and we can customize our tested and true systems to fit your local operation. No Competition – Seriously, there is no other company that blends the unique marketing programs like BlueTooth coupons, Movie Night Screens and L.E.D. Jumbotron Displays. We are the ONLY solution available to help events take their marketing and promotions to entirely new levels of entertainment, interaction and profitability. Our Advertising Revenue Generation Programs are AMAZING and can be just the thing that your local school, church, charity or businesses are craving for! Helping the community, helping people make money, making money for yourself and having FUN doing it! It’s Just Good Business! As our network grows there will be more support and more nationwide marketing opportunities! JOIN US! Lead Generation – JumboScreen Rental and our network of websites are unmatched in the industry. We get first page, top 1-5 placement on Yahoo!, Google, MSN, Bing and other major search engines. Check for yourself. It’s a huge investment that we’ve made to secure our success and YOURS. Our Internet marketing system is working 24/7/365 to generate leads for you and help you book events. Our National Sales Team even works with the major brand marketers and advertising agencies teaching them about how big brands can connect with consumers at a local level. We’re working for you everyday to grow your business while you use our tools and techniques to focus on your local market and dazzle your accounts with service, quality and dedication. Keep Your Earnings – Unlike some other business formats we’re not here to take percentages of your sales. Our licensing program is designed to be flexible and affordable for you so you can focus on getting accounts and marketing your services locally. We offer an assortment of licensing programs that we can custom tailor to fit your market and allows everyone in the network to be rewarded for the work, effort and growth. If you are already a mobile billboard company, outdoor movie business, or considering providing outdoor movies in your community, call us to today to join Billboards-4-Rent. You can cut through the clutter and expense in doing it on your own. We need quality people, dedicated focus and a team of people that share our vision to bring Billboards-4-Rent, Movie Nights and high quality entertainment to audiences worldwide. Call us today and find out how we can take your business to the next level. Toll Free 1(888)708-5558 out of USA please call 702-835-2034 or Skype to Bretskype.